Every single month, as if by some sort of magic, my 8 year old will say "is it Amazing! Magazine time yet?" and within 2 days it'll pop through the letterbox. He loves it, and when he's read it, his 7 year old brother takes his turn. Full of all the sorts of facts that young children enjoy, in a comic book style with puzzles, stories and quizzes, Amazing! 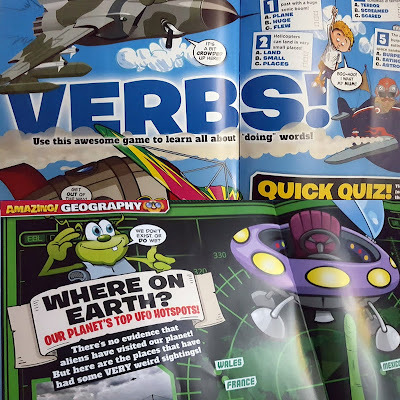 Magazine cleverly and discreetly labels every article and activity according to National Curriculum subjects, and you can soon spot the links between what they learn as they read and what they are learning in school. 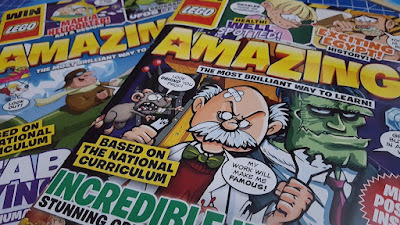 We've been reading Amazing! Magazine for a good while now and I wrote a review just over a year ago. We're really pleased to have been invited to become Ambassadors for a second year. I simply can't afford to continue everything we try, but I was more than happy to pay to continue Amazing! 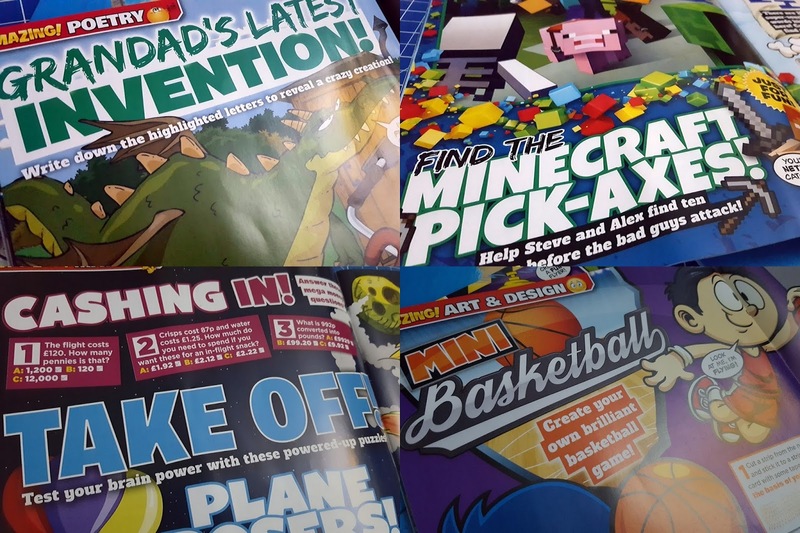 Magazine because my 8 year old especially adores it and I personally feel it's worth every penny. Written in an informal and friendly style, even with long words and some fairly complex concepts, this doesn't feel like school at all. 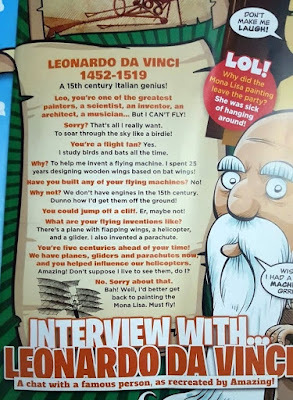 There is gore, but it's less dramatic than some children's writing, there are historical dates and timelines, but they are always presented in an interesting way. There is humour and tongue-in-cheek comment. 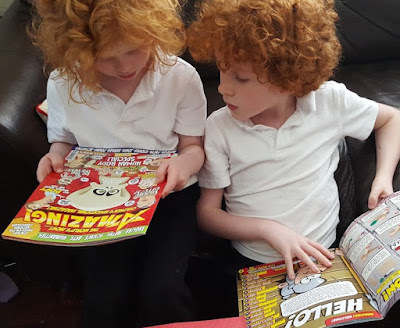 Amazing Magazine is something adults can pick up and flick through and enjoy too. All of the illustrations are bright and bold, this is a loud, brash magazine that values punchy phrases and keeps blocks of text to a minimum. 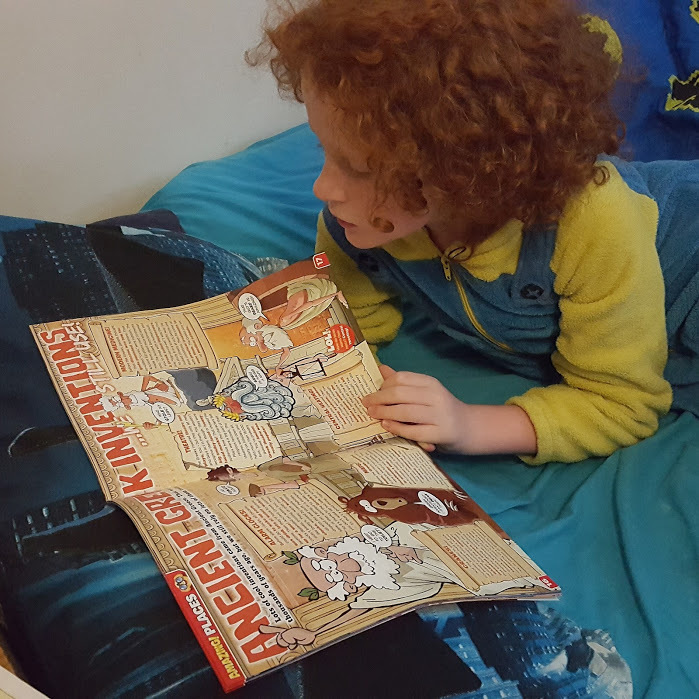 Ideal for any younger reader who finds chapter books intimidating or who simply wants a rest from more engrossed reading. 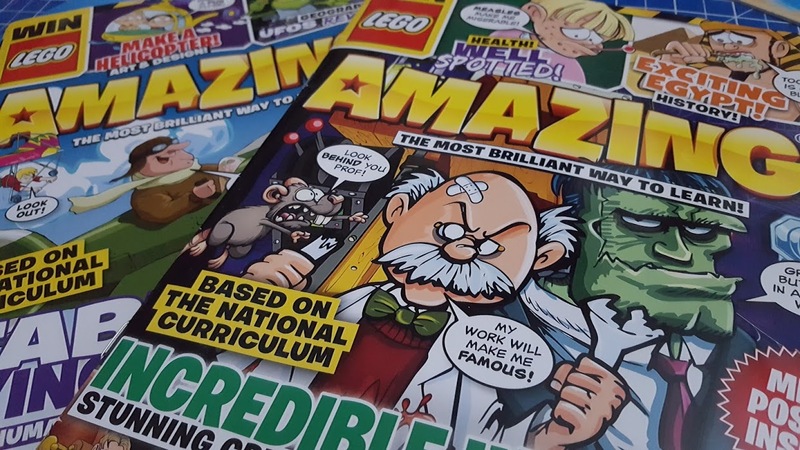 Each edition of Amazing! 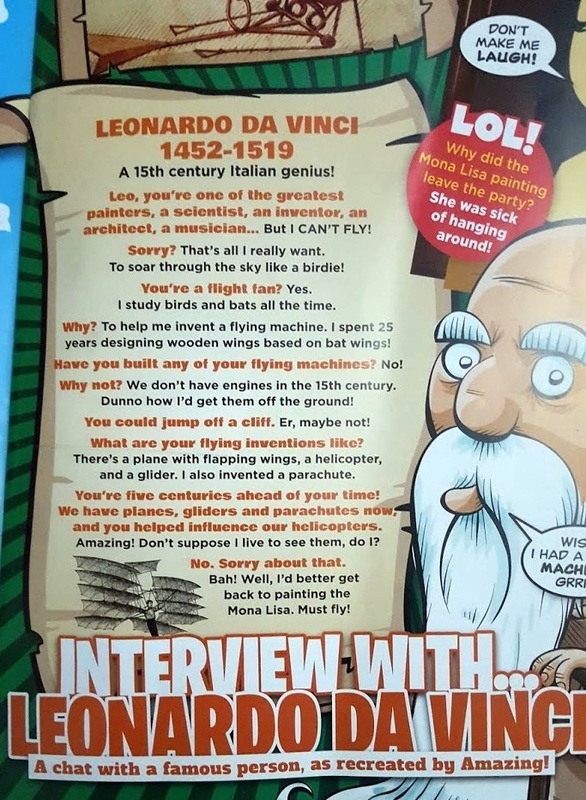 Magazine has a theme, the themes for the magazines (which I grabbed at random) shown here are Fabulous Flying Machines (issue 31) and Incredible Inventions (issue 34). Amazing! 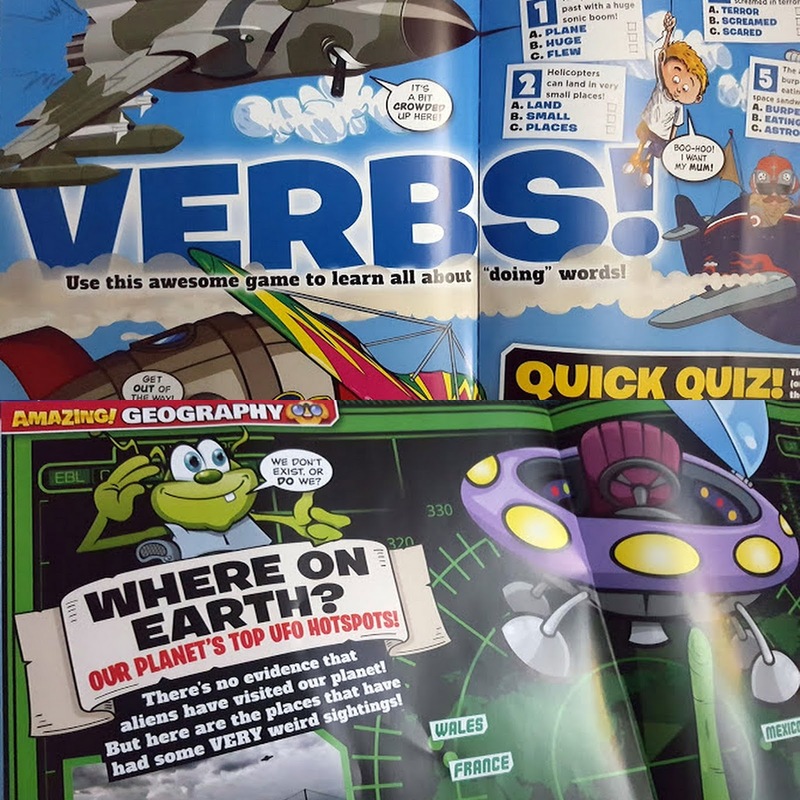 Magazine has 36 large pages in full colour and with a glossy splash-resistant cover. Available monthly priced £4.99 for a single edition, subscriptions are currently £12.99 a quarter or £49 for an annual subscription with a free extra edition - all delivered to your door. Find out more on the Amazing! Magazine website.